It’s finally here – early access to Halo Wars: Definitive Edition starts today for folks who pre-ordered the digital version of Halo Wars 2 Ultimate Edition! When they started to work on Halo Wars: Definitive Edition, they wanted to make sure that the experience still shines and that the game looks better than it did seven years ago. However, the most exciting part is finally bringing that experience to PC. Having Halo Wars on PC has been something the community has asked for since the game launched so many years ago, and it’s surreal that it has finally happened with Halo Wars: Definitive Edition. 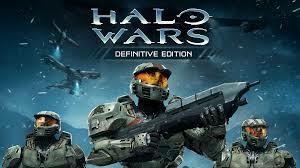 Halo Wars: Definitive Edition is set to launch in February alongside Halo Wars 2 Ultimate Edition, but we thought it would be great to give everyone a chance to start playing now to sharpen their skills in preparation for the next game. The game you’ll get today is early access – it’s only available to people who pre-ordered the digital version of Halo Wars 2 Ultimate Edition. It also means that we’re still putting the finishing touches on the game before launch, so expect to see more improvements come online between now and February. The team worked insanely hard to bring both campaign and multiplayer online before release in February and we can’t wait to hear what you think. Codes are rolling out through the coming weeks, but anyone who pre-ordered by December 14 should receive one now, so keep an eye out – check out the FAQ here for more info on how to find and redeem your code. And of course, since Halo Wars: Definitive Edition is an Xbox Play Anywhere title, your code will work on both Xbox One and Windows 10 PC! They are working hard at 343 Industries on the first update, as well as on the upcoming Blitz Beta – and of course, the full launch of Halo Wars 2 on February 21. There’s a lot of goodness coming your way in the New Year, but for now, download your copy and get re-acquainted with the Spirit of Fire, because things are going to get crazy for them next year!